A whole new way to see the intracoastal! Stand up paddling makes it easier to see into the water below. Join us for a fun paddle along the mangroves as we look for fish, turtles, and manatees! 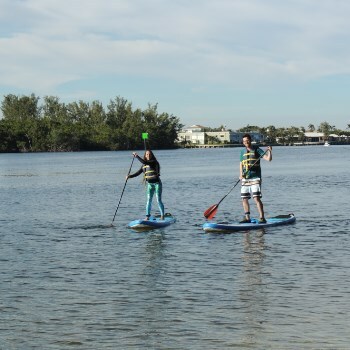 This is a guided tour for participants comfortable standing and paddling on a paddle board. Must have previous stand up paddle boarding experience. Ages 12-adult; children under 18 must sign-up and participate with an adult.